Dear Wine, why are you so delicious? Like any sane adult, I enjoy copious amounts of wine. I like it all. I enjoy it on a rainy afternoon, at a fancy dinner party, after a sun filled hike, or on most nights when I simply want to celebrate the culmination of another successful day. Wine has become an everyday addition to my table, but I realized that I rarely think about everything that goes in to the bottle to make it so special. I’m lucky to live in wine country and every October brings on harvest, which is maybe the most wonderful time of the year here in Sonoma. Everyone is teeming with anticipation and the vineyards are full of busy bodies. 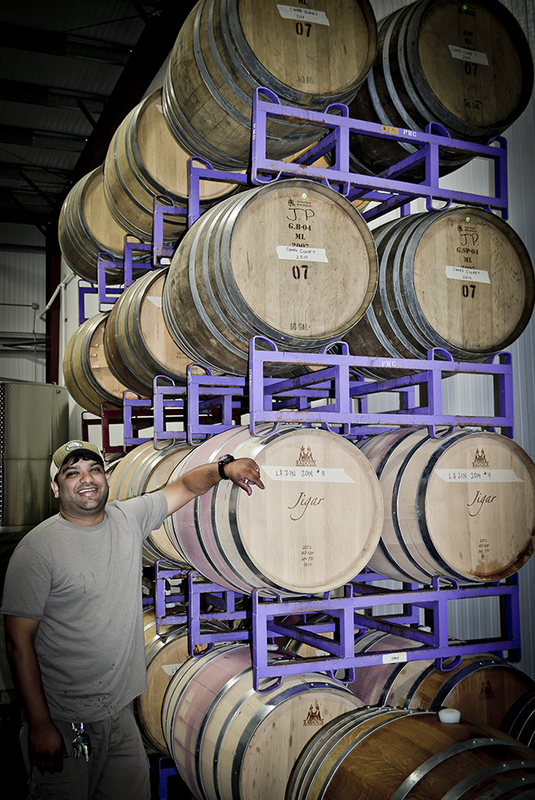 In celebration of harvest, I set out to do a little exploration and Q&A with friend and winemaker at Jigar Wines, Jigar Patel. 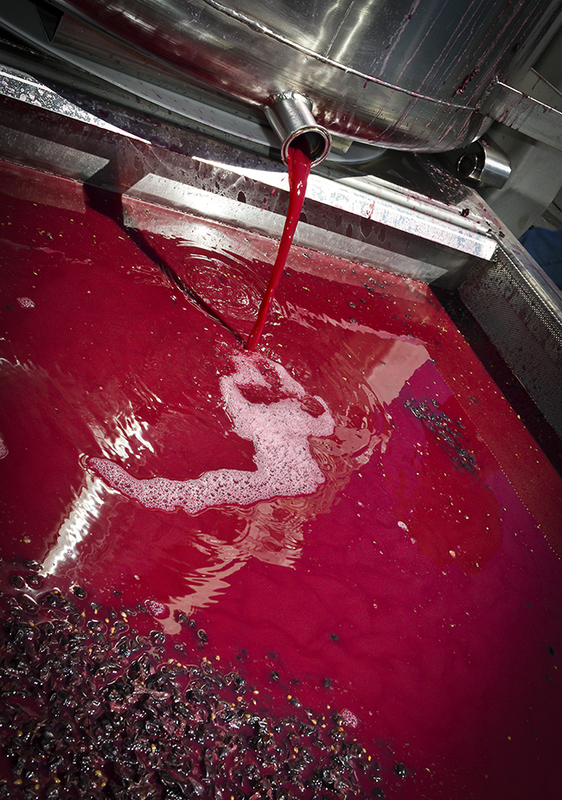 What are the primary steps in making wine? Harvest, Fermentation, Press, Secondary Fermentation, Aging, Bottling. It can’t be said enough, that great wine is made in the vineyard, so naturally the first step in wine production is harvesting the grapes. 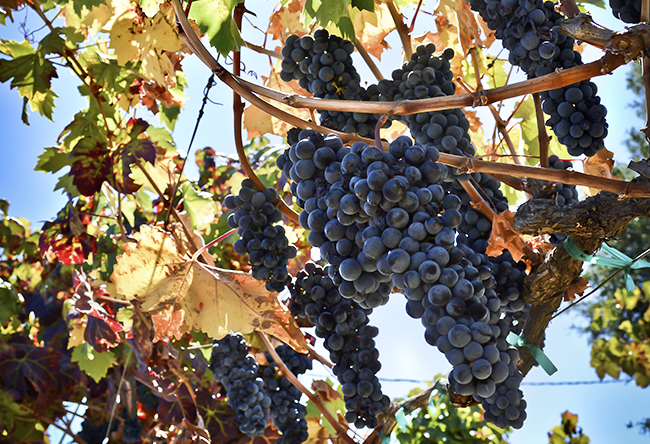 When a winemaker is satisfied with the results of the sugar (BRIX), acid, and pH, in grape samples they may choose to pick; however, many winemakers rely more on what the actual flavors of each grape varietal. I like to use a little of both, good numbers ensure healthy fermentation and minimalist wine making, as well as tasting what I perceive to be ripe fruit. Once I have called for a pick, it’s up to the grower to pick the fruit, which can be done by either hand (small lots and more fragile varietals) or machine (large tonnage). In making white wine, the grapes are pressed immediately and that juice is then sent to tank or barrel for primary fermentation. 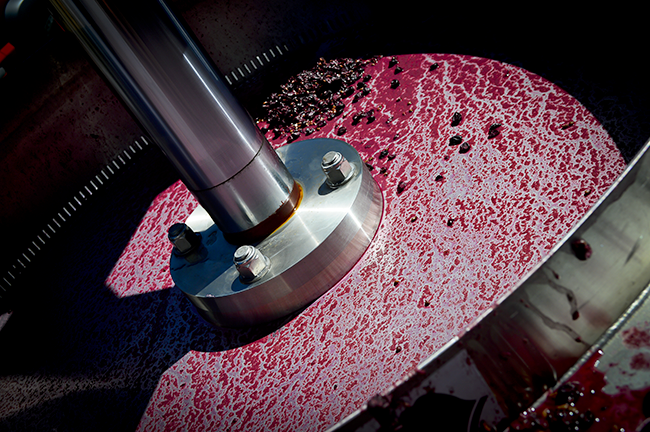 For red wine, we let the grapes remain in contact with the skins to give color and to extract flavors and tannins. 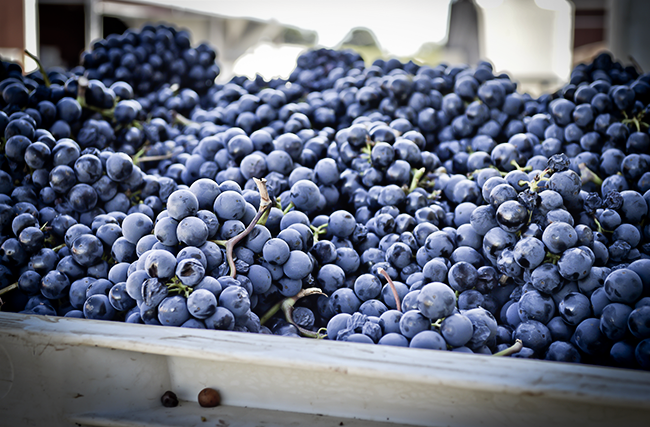 We first use a machine that separates the grapes from the stems, which creates a must that we let ferment in bins or tanks before sending it to a barrel. During primary fermentation, yeasts are naturally available and sometimes added to help change the sugars in the grape to alcohol. 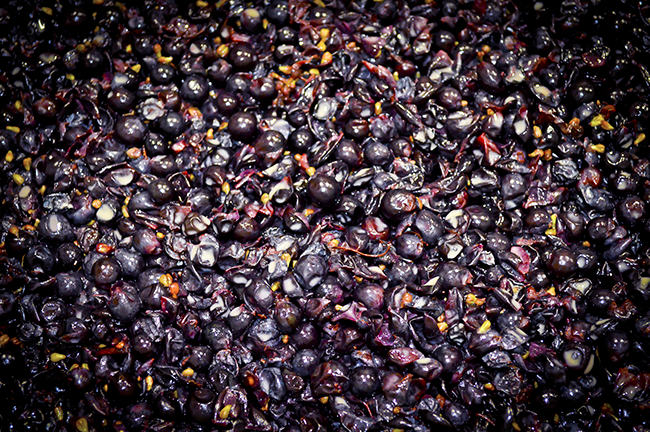 When we find an absence of sugar in the grape samples, the wine is said to have finished and gone dry. The next step for red and white wine is secondary fermentation, where we move wines into barrels or tanks and start introducing bacteria, which converts malic acid to lactic acid. 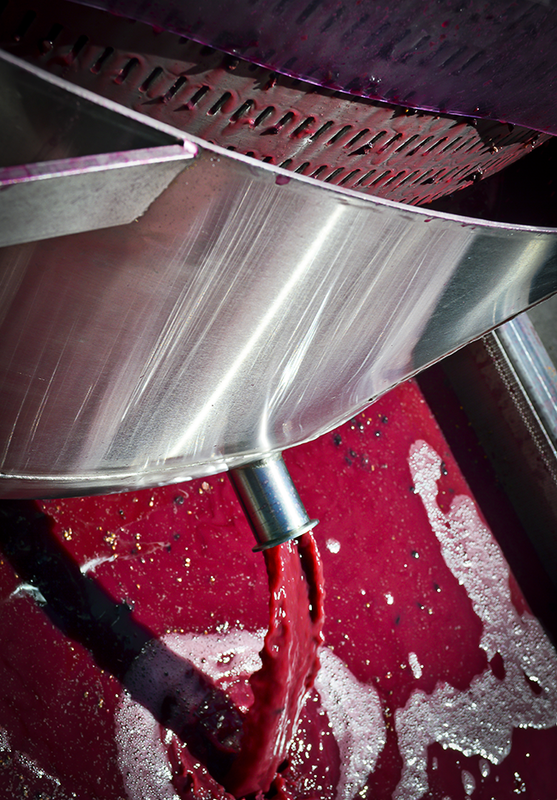 This process decreases the acidic characteristics and softens the taste of the wine. 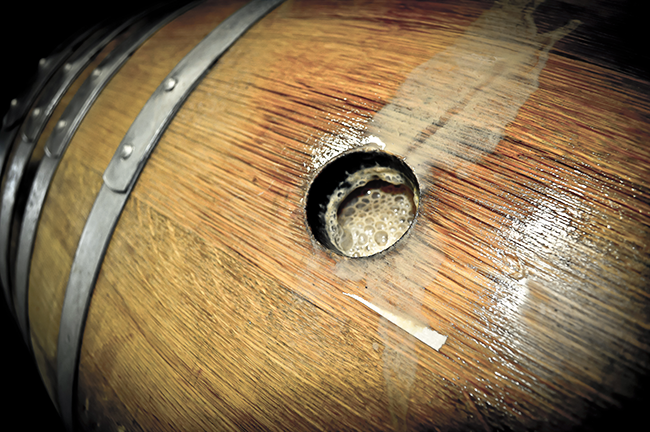 Most wines will age in both new and old (neutral) barrels during malolactic or secondary fermentation. 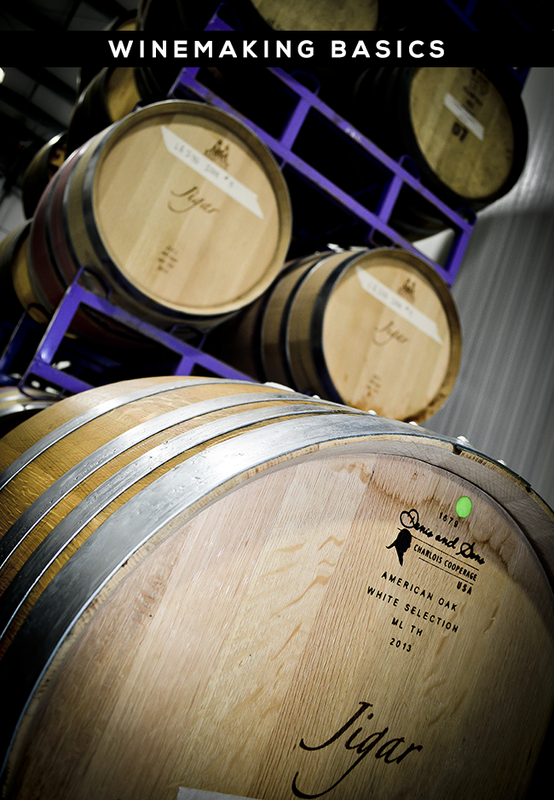 New barrels have a profound effect on the resulting wine, affecting the color, flavor, tannin profile, and texture of the wine. 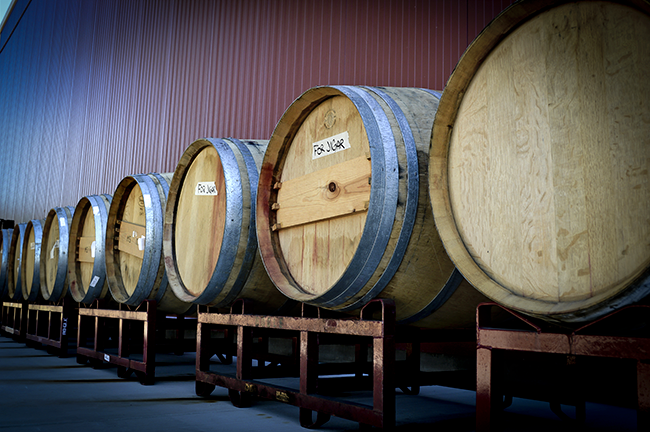 Barrel aging will generally continue for anywhere from 10- 24 months, at which point wines are ready to be bottled. There seems to be a stigma working against more reasonably priced wines. Like many other luxury products, I think many consumers wrongly judge a bottle by its price tag, assuming that more expensive is better. Your wines are really sophisticated; however, your price point is fantastic. Is this intentional? Do you judge a bottle based on its price? If not, what do you look for when picking out a great bottle of wine? When we set out to make wine, we didn’t have a certain price point in mind, but as things progressed, we realized that our low overhead was going to allow us to make a phenomenal product at a great price point. We really want to be able to reach a large market and keep our wines approachable, so even as prices have steadily increased, we’ve prioritized keeping our wines available to those supported us from the beginning. Do I judge a bottle based on price? Sure I do. Some really expensive bottles are worth every penny, while other expensive bottles are just the product of great marketing. When I drink expensive wines, I try to know what I’m drinking and what I’m paying for which to me would be great fruit, sustainable techniques in farming and winemaking, oak, aging, and little love. Conversely, I really enjoy finding a great wine at a reasonable price and learning what that was a result of as well. Do you have a favorite that you are drinking this fall? It’s been a really hot lately and I’ve been drinking a lot of Rose and Kokomo Wine’s Rose is one of my favorites. What is your favorite varietal? Do you have a "go to" wine? I really don’t have a favorite, but I like to drink from vineyards that I know, so right now I am drinking a lot of Pinot Noir from Green Valley, Russian River Valley, and the Sonoma Coast. Particularly, Peter’s Vineyard, Graham Family, and Chenowith Vineyards. A lot of vineyards are beginning to get a following because people are realizing that it’s all about the fruit, and rightfully so. Some of the best wineries in California are sourcing that fruit and it’s interesting to see how they all impart their own style on it. 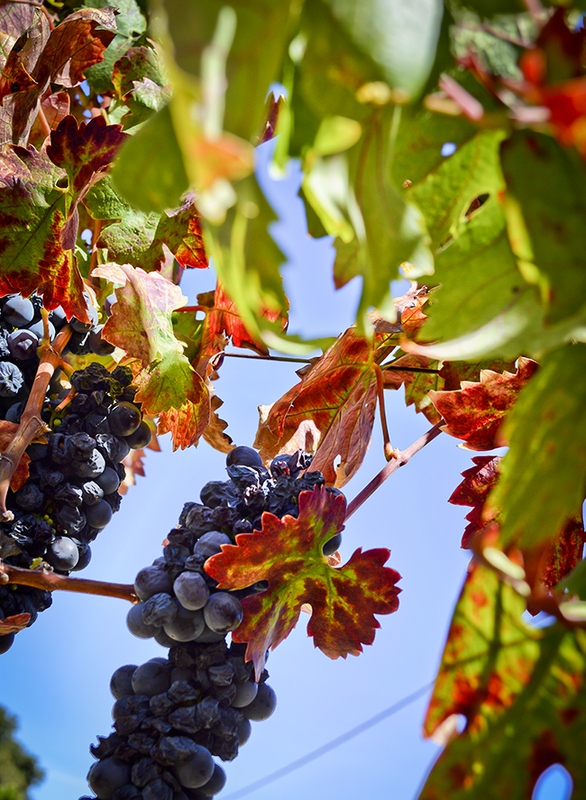 It’ll be even better to see how our wines from those vineyards turn out! What's in store for Jigar Wines? Well, we just opened a new tasting room and winery, so this year has been hectic even before harvest even started. We’ve also sourced some new vineyards this year that I’ve had my eye on and I’m pretty pumped to be making wine in collaboration with such esteemed growers. In addition Josh Bartels (assistant winemaker at Kokomo Wines) and I are releasing our new Pinot project early next year and we’re really excited to be producing wine from a couple of world-class vineyards. With great years of 2012, 2013, and 2014 in the books, it looks like we’ll have some great wine to share with our customers for a few years to come. Big thanks to Sara and Jigar for sharing some of the basics of winemaking along with a behind-the-scenes look at Jigar Wines! I absolutely loved this little tour and look into the winemaking industry. Sara is an event planner and "expert in indulgence" who has lived in the heart of Sonoma County California's wine country for 12 years. In addition to sharing her favorite foods and wines, recipes and more as our Food and Drink Contributor, she plans unique, personalized getaways to and events in wine country for her hospitality business, Wine Country Goodness, and travels the country in search of the best places to stay, explore, eat, and drink. You can also find Sara on her blog, Facebook, Instagram, Pinterest, and LinkedIn. So much fun to learn about how wine is made and I love these pictures!! What a cool post! I'm just starting to get into wines and it's so interesting to read about the process and also an expert's take on less expensive wines. what a cool post. i'd love to visit that winery someday. living in wine country would be my dream.